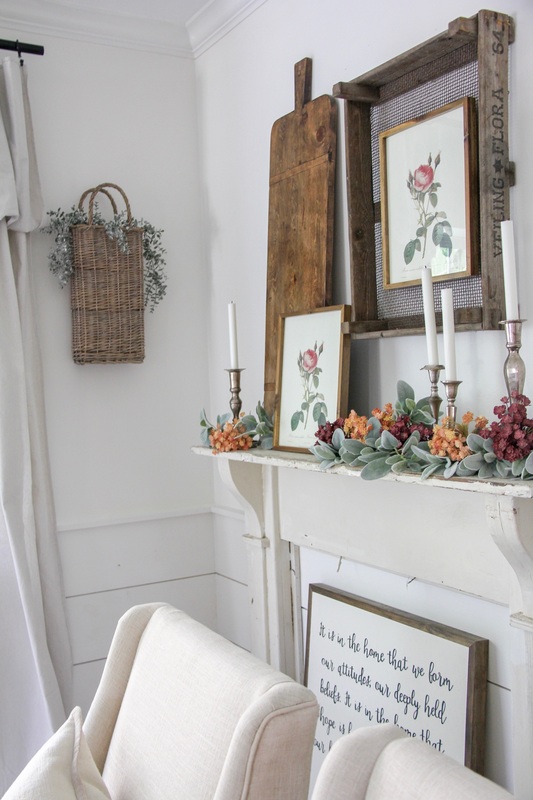 With summer coming to an end it, I always find it challenging to figure out how to transition my home decor for the fall season. 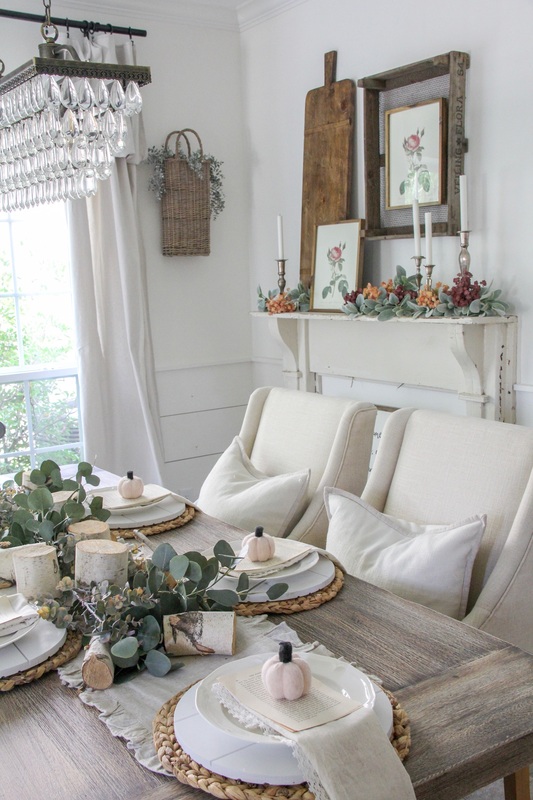 For we are all still longing for summer, but the fall decor is obnoxiously everywhere! By September, I know I am ready for pumpkin everything, but I also still want to hold on to a bit of summer. 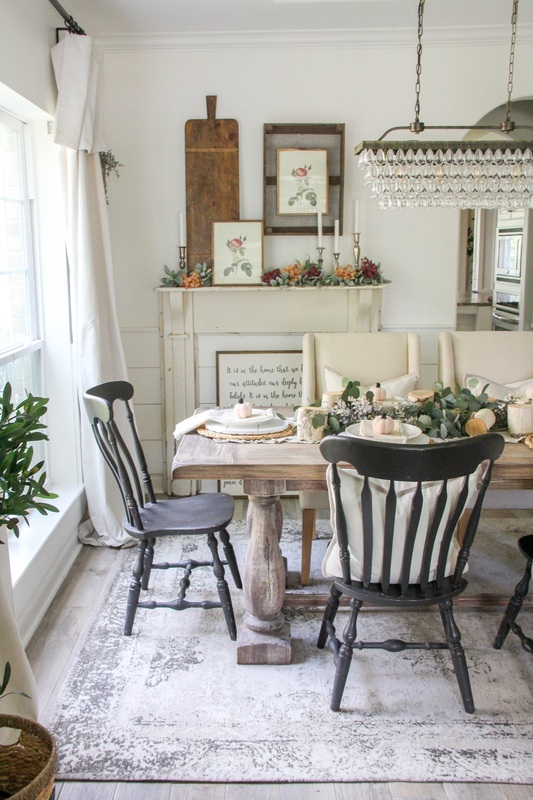 In this post I will share with you some subtle ways to start to transition your dining space for fall, with the help of Tuesday Morning. 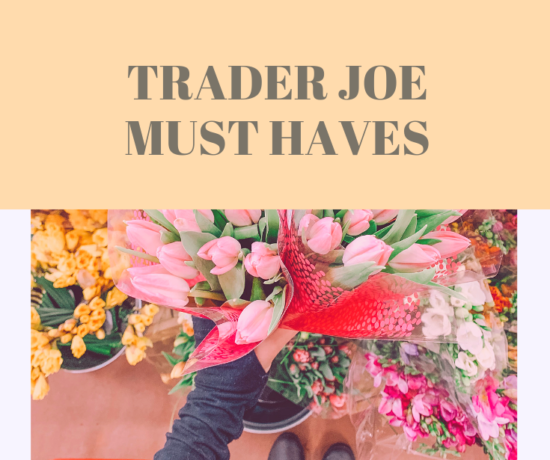 Tuesday Morning is one of my go to places to shop for affordable home decor items. In store, you can find items 20-60% off department store prices! I mean who doesn’t love a great deal? They also have a great selection of farmhouse style items at affordable prices. This season, when shopping for fall decor items for your home, don’t forget to stop into a Tuesday Morning near you! I know you won’t be disappointed in what you find. Bring different textures into your home to create a cozy vibe. You can do this by using wicker placemats, baskets, and pillows. I love these round wicker placemats that I found at a discounted price at Tuesday Morning. I created more texture by adding a shiplap charger on top of the wicker placemat. Another one of my favorite ways to add layers of texture is by using pages from an old book. 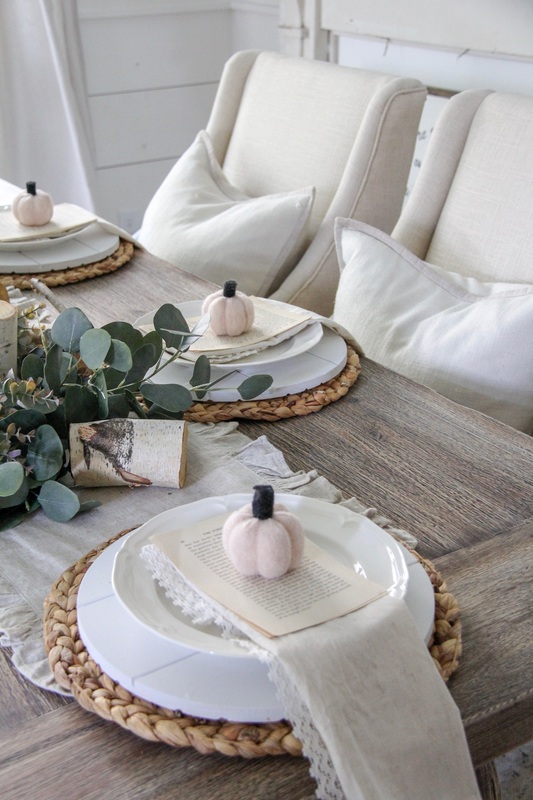 The antique pages in this place setting creates interest while also giving it a fall vibe. Hanging wall baskets with a touch of fall floral can also create warmth in your space. These hanging baskets from Tuesday morning are perfect to fill with some fall greenery. You can change out the greenery for for each season which makes them a great transitional piece. One of the hottest color trends this season for fall is PINK. I love seeing this color in home decor. Pink is the perfect color to transition your home for fall because it doesn’t scream Fall like a bright orange or red. I found these perfect fall pink floral prints at Tuesday Morning for only $2.99. I bought two of them and framed them for my fireplace mantle. I hung one on the wall, in a tulip tray to add a layer of dimension on the wall. 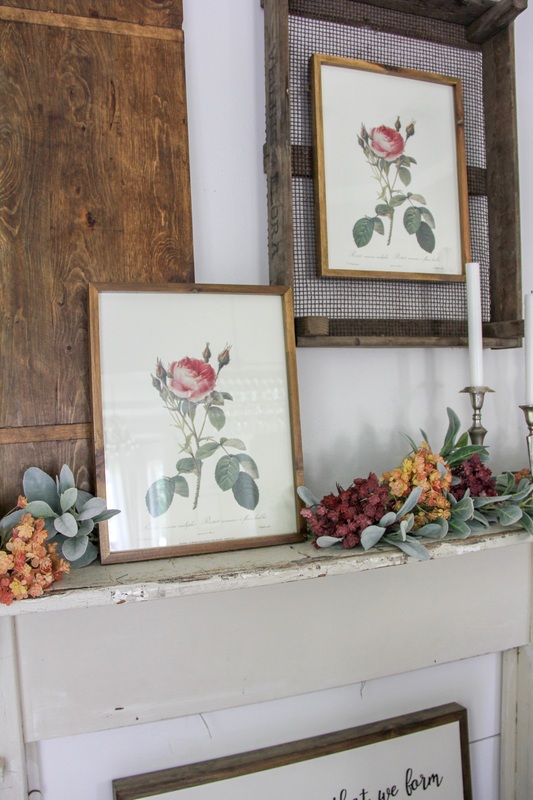 The other print I simply laid on the mantle, and surrounded it with candles and some fall floral. I love mixing out different prints for the seasons in my home. Tuesday Morning currently has a great selection of prints that you can frame in your own style. I love the versatility of being able to choose my own frames. I also picked up the pink in the floral prints with some small little felt pumpkins. Because of the pink color, the little pumpkins are a very subtle way of bringing in a bit of fall into your home. I’ll be bringing out all my pumpkins within the next month but I am not yet ready for pumpkin overload! Using fall florals in neutral colors, instead of the traditional red and orange can help transition your home from summer to fall. Light pinks, yellows, and greens are my favorite colors this fall. 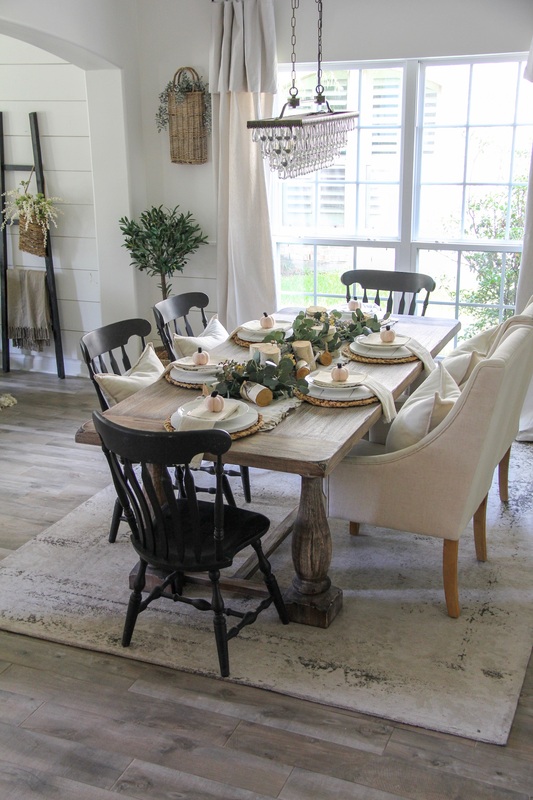 I love to decorate with neutral colors so the colors flow well with the rest of my home. For the centerpiece in my dining room, I used eucalyptus stems and added some birch wood pieces. Eucalyptus is one of my favorite stems to use because you can really use it all year long. I also added some frosted eucalyptus stems that I found at Tuesday Morning in the wicker wall baskets. For my fireplace mantle, I wanted to bring out the color of the floral prints from Tuesday Morning, so I added some yellow and pink florals, paired with another one of my favorite stems, lambs ears. 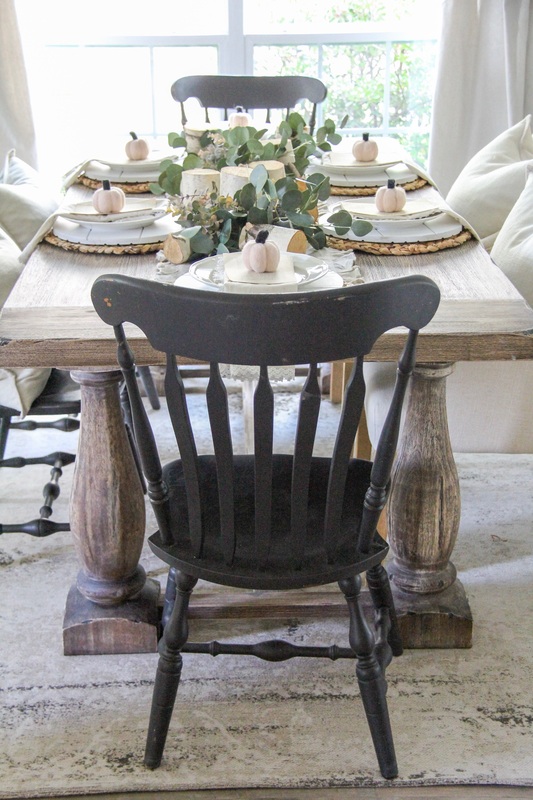 I found so many great items at Tuesday Morning to transition my home for the fall. 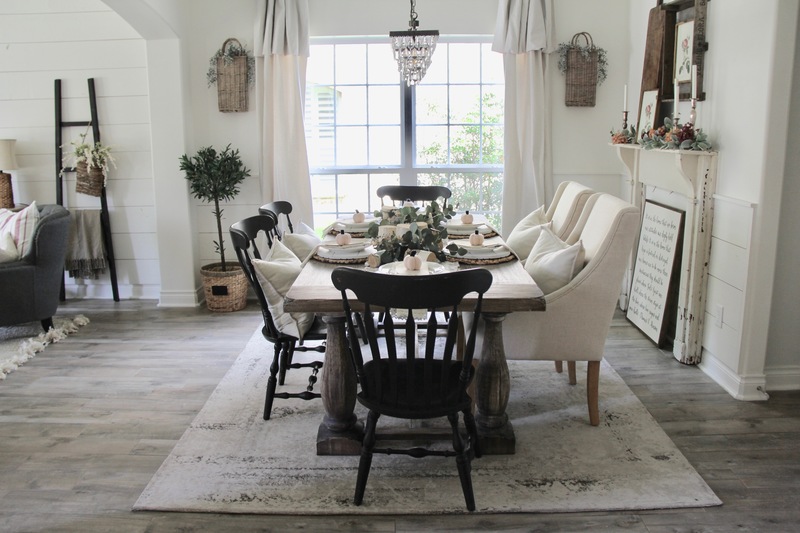 The wicker placemats, hanging wall baskets, frosted eucalyptus and the pink floral prints helped create my early fall look at an affordable price. 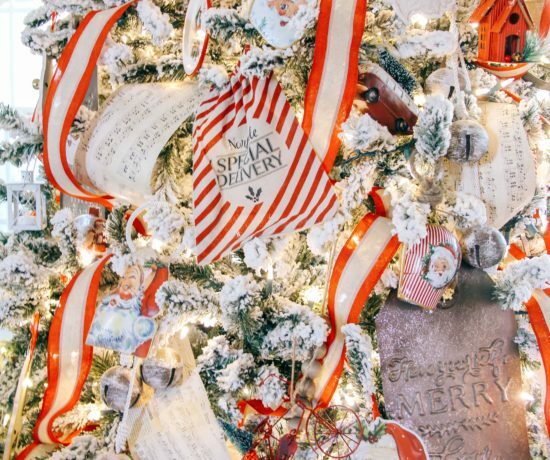 I love to change out my decor throughout each season and knowing I can shop at Tuesday Morning and not break the bank makes the whole experience much more enjoyable. Are you ready to transition your home for fall? What are some ways you bring fall into your home? Be sure to follow me along on instagram @clareandgracedesigns to see more of my shopping experience at Tuesday Morning. I just subscribed to your blog and look forward to reading more. 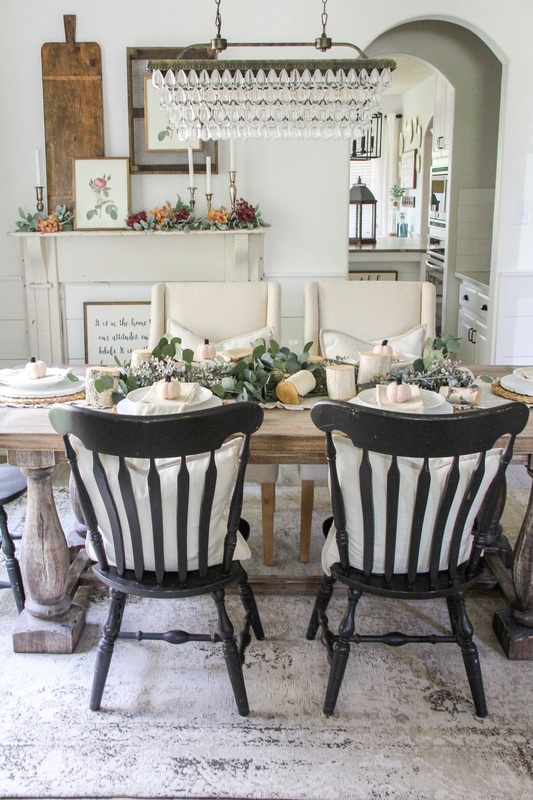 I love your dining area: where did you find the little pumpkins? They are adorable! I can picture a few of them in an old wood bowl. The little pumpkins are from homegoods!